Light Meets Luxury. 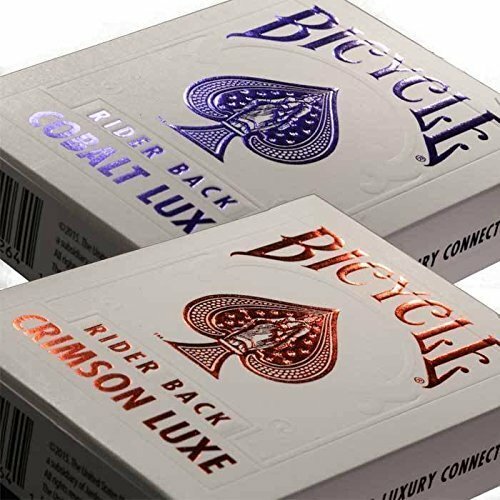 Exclusively from The United States Playing Card Company, the proprietary MetalLuxeTM technology gives these cards ideal flexibility and durability equal to a standard Rider Back card. Stamped with real metal to achieve a dazzling shine, each MetalLuxeTM card showcases brilliant luminescence and color. Printed on premium cardstock, this deck features the brand's classic Air-CushionTM finish to ensure long-lasting, flake-free performance. Made in the USA.